Uttar Pradesh: Ex-MLA Ambedkar to be BSP nominee for Rajya Sabha polls - Integration Through Media ....! 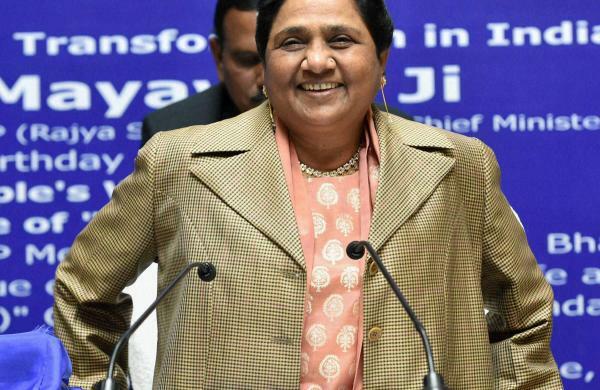 LUCKNOW: After creating a buzz by striking a barter deal with Samajwadi Party on Sunday, BSP chief Mayawati on Tuesday announced the name of one of her former MLAs Bhimrao Ambedkar as party’s nominee for upcoming Rajya Sabha elections on March 23. A resident of Etawah, Ambedkar comes from the same Jatav community which Mayawati belongs to. Ambedkar’s name was finalised by BSP supremo Mayawati after a meeting with party MLAs at her on Tuesday evening. However, Ambedkar's selection has put the speculations about Mayawati or her younger brother Anand Kumar’s candidature was put to rest. BSP chief claimed that Ambedkar was recommended for his committed approach to party’s missionary movement. Accusing the media of spreading the name of Anand Kumar under BJP’s influence, Mayawati reiterated that she had always been against nepotism and therefore none of her family members would become MP, MLA or ministers. “However, Anand looks after the executive work of the party and not its political affairs,” she claimed. Ambedkar, 52, who won the Lakhna assembly seat in Etawah district in 2007, has had a dubious past. In 2010, he allegedly issued a death threat to an irrigation department chief engineer for not installing hand pumps in his constituency. The engineer got so terrified that he sent his resignation to Mayawati, the then CM. He was denied a ticket in 2012 but contested 2017 state assembly elections from Auraiyya and lost. If elected with SP support as per the deal, Ambedkar would become the fourth Dalit MP from BSP in the RS. The other three are: Ashok Siddharth, Veer Singh and Raja Ram. Mayawati had resigned from the Rajya Sabha in July last year.